Born on 8th April, 1984 and raised in the Seychelles, Bertrand entered the world of work in 2007 upon graduating with First Class Honours from a Masters degree in Chemical Engineering in Manchester, England. At the time, Seychelles was experiencing an acute Balance of Payments crisis, when he started start working in the Ministry of Finance. The BoP crisis came to a head with the commodity boom (lest we forget, the Global Financial Crisis was preceded by record high oil prices) and Seychelles embarked on extensive economic reforms with the assistance of the International Monetary Fund. Bertrand worked on a number of projects during the reforms including the design and implementation of a new social welfare system to facilitate a floating of the exchange rate and abolition of universal subsidies; the creation of a new revenue forecasting unit within the Ministry of Finance for better budgeting; and the implementation of a PPP, with heavy domestic private investment, to lay the only submarine fibre optic cable between Seychelles and the coast of Africa in order to cope with Seychelles’ growing thirst for internet and data transfer. In 2013, he was appointed Principal Secretary for Economic Policy and Planning. In the same year he obtained a scholarship from the Harvard Kennedy School of Government for a two-year course. He graduated with a Masters in Public Administration in International Development (MPAID) in June 2015. During his time at Harvard he was one of the main contributors to a book entitled Africa on the Move: Unlocking the Potential of Small Middle-Income States. The book was published by the International Monetary Fund in January 2016. 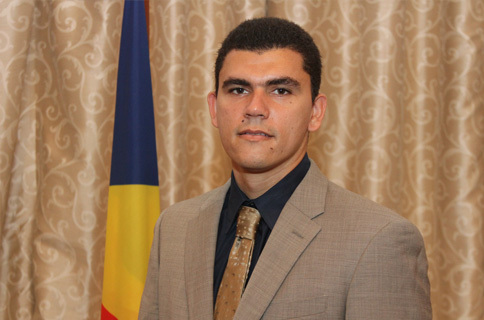 In August 2015, Bertrand was appointed as the Special Adviser to the Vice-President. As a nine-year old in 1993, he was inspired by the Indian Ocean Island Games which were held locally, and decided to take up swimming. He managed to break into the National Team in 1998 and was a silver medalist for Seychelles at the Indian Ocean Island Games of 2003. He has recently developed an interest in the Triathlon. On 16th October 2016, Mr. Belle was appointed Economic Adviser to the President.